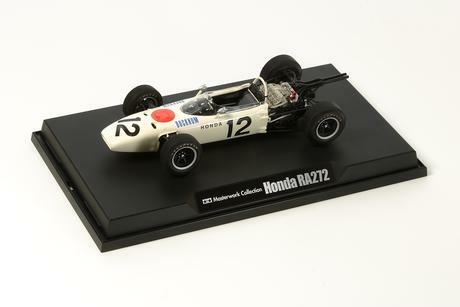 This is a finished model of the Honda F-1 RA272 '65, which originally appeared in Tamiya’s catalog as Item 20043. 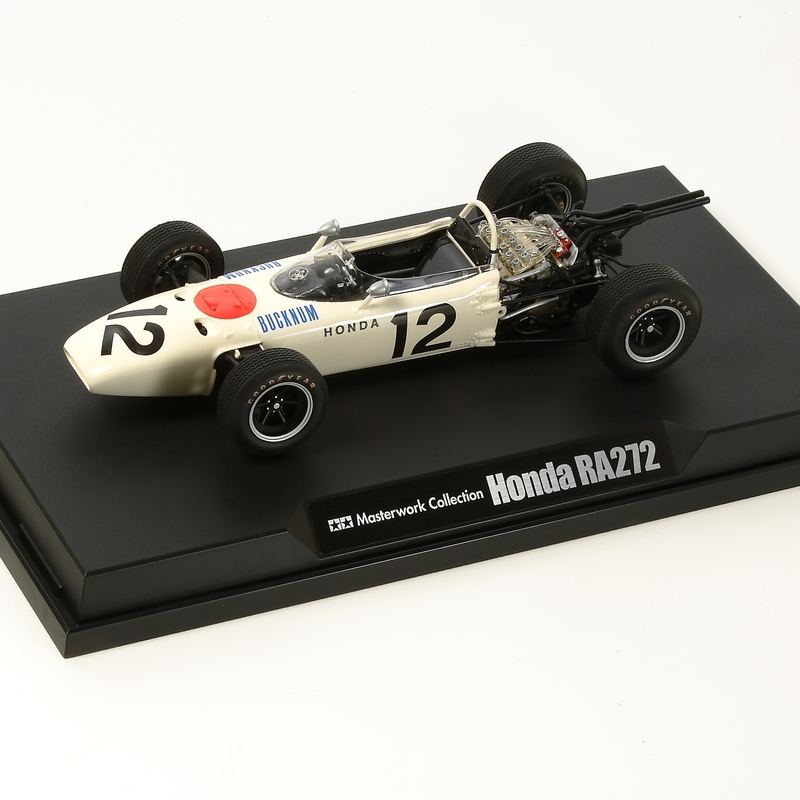 The RA272 used parts made by Honda from nose to tail, and it represented one of the manufacturer’s finest achievements when the car piloted by Richie Ginther took the checkered flag in first place in the 1965 Mexican GP. In fact, it was the first ever Japanese-made car to win a Grand Prix race, which guarantees its history in the annals of Japanese racing. The car was powered by a 1.5-liter V12 engine which was situated longitudinally in the rear of the machine. Special Feature 1 Model depicts the No.12 Honda RA272. Special Feature 2 Includes a number of features which are only to be found on this finished model, including detailed fuel pipe layout, plastic ignition cord and wiring extending from ignition cord to engine. Special Feature 3 The model includes mirror surfaces to recreate the side mirrors. Special Feature 4 Detailed replications of the front and rear cowling mesh, and recreated breather pipe found under the roll bar. Special Feature 5 Optional engine cowl parts are included in a separate bag with screws and screwdriver for attachment. Special Feature 6 Comes with a clear display case, plus stand and nameplate.